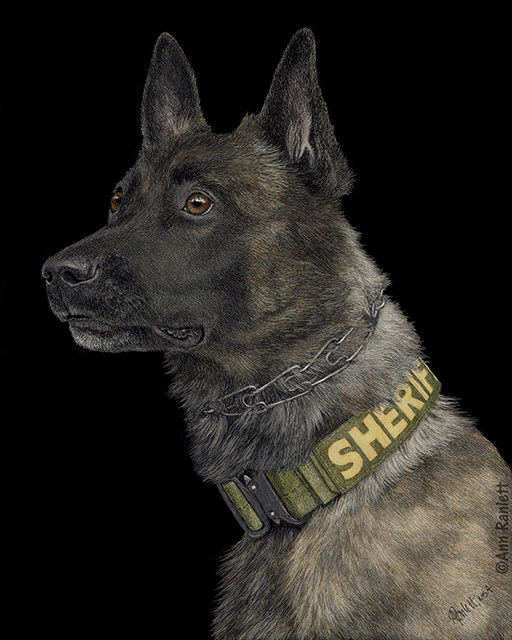 Yukon is retired, he worked for the Placer County Sheriff’s Department’s K-9 Unit. Ann took the reference photo at a fundraiser where Yukon and his handler were there to meet the public. See a number of stages of this drawing, beginning with this image.